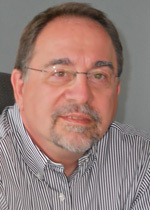 Ted Gerdes, principal of Gerdes Law, has extensive expertise in clearing and vetting a variety of media; providing sophisticated analysis of copyrights and copyright law; vetting, registering and maintaining trademarks; assisting creators with obtaining E insurance; and examining and clearing of titles, personality rights, and other rights that could give rise to lawsuits. In addition, Ted has particular experience handling the unique legal issues related to Internet media, non-fiction works, including documentaries, docudramas and various literary works, and transformational media. He is also adept at the careful drafting and negotiation of rights acquisition, licensing, and other related agreements. Ted has seen the devastating and sometimes tragic impact lawsuits can have on the creative process. They can be an enormous drain of time, money, and emotion. Ted began his career defending infringement and other claims brought against producers, writers and other creators and began to ask: Could this have been avoided? With the creative background of a former journalist and musician, Ted began searching for a better way and found it by refocusing his practice on prevention. He now draws on his litigation background to help clients avoid these costly, time-consuming legal predicaments before they occur. Drawing from the depth of his legal experience and knowledge, Ted often takes an intuitive and practical approach to legal issues. It is his "Zen and the Art of Practicing Law" philosophy that guides him to fashion legal solutions that will protect the integrity of, and help bring to fruition, a wide range of creative projects. Over the years, Ted has found that clients value his entrepreneurial focus and practical approach to the practice of law. He keeps things simple by listening intently to clients, answering all questions honestly, and providing results at a reasonable cost. Ted treats your problems as if they are his own. Ted Gerdes, principal of Gerdes Law, has dedicated his practice to helping producers and creators of entertainment and literary properties avoid the many pitfalls that would subject them to lawsuits. Clearance and Vetting Thorough clearance and vetting is crucial to the smooth production and release of nearly every entertainment or literary property. By analyzing the risk of different types of lawsuits, Ted can assist you with obtaining all of the necessary intellectual property and personal rights that will help you avoid the Court House and obtain the necessary E&O insurance. Copyrights Ted Gerdes has a wealth of knowledge of copyright law. His expertise includes analyzing fair use and parody, reviewing chain of title searches and documents, determining whether a work is in the public domain, comparing copyrights and termination issues. He can also assist you with transactions involving copyrights, recording the transactions with the U.S. Copyright Office and analyzing due diligence and asset management issues that arise with copyright ownership. Titles Choosing an effective title for your work is crucial. It is a balancing process between creative desires and legal reality. You must find the title that best represents your work, but it must also be legally available. Distributors and E&O insurance carriers require that a thorough title search be performed and an opinion prepared by a trusted attorney with experience in this area. Ted will make sure that the most thorough search appropriate for your project is obtained. He will review it and provide you with the necessary opinion. He can also work with you in registering your title. Trademarks Ted handles all aspects of trademark prosecution and analysis. Because he understands the importance of selecting an effective mark, Ted can help you choose your trademark and insure it does not infringe on other marks, file registration and use documents with the U.S. Patent and Trademark Office and handle the entire registration process. He can also assist you with obtaining international protection under the Madrid Protocol and all post registration filings. E&O Insurance Ted has been representing and interacting with E&O carriers for more than 20 years. He understands how to obtain the best possible E&O insurance coverage and provides comprehensive representation in obtaining all of the necessary clearance and preparing all of the legal opinions the insurance company requires. Non-Fiction Works Non-fiction works such as biographies, memoirs, documentaries and docudramas come with unique legal challenges. Ted not only understands these challenges but also finds this type of creative expression both fascinating and intellectually stimulating. He puts this enthusiasm and expertise to work for you, allowing you to focus on the creative process and producing the best possible project. Internet Ted understands the importance of keeping up with advances and changes to laws that affect internet-based entertainment and companies with web presences. This includes clearing the website content and meta tags for intellectual property, as well as assisting website operators with choosing a domain name and running a blog in a way that will avoid lawsuits wherever possible. Personal Rights An important step in the clearance process is clearing personal rights to avoid lawsuits based on violation of rights of publicity and privacy, as well as defamation. Crucial in this process is analyzing and determining what is protected by the First Amendment and what might be a violation of someone's rights. Transformational Media An increasingly popular genre of entertainment, transformational media gives rise to many legal concerns about personal rights and intellectual property issues. Ted believes in the importance of this particular type of entertainment and is committed to ensuring the smooth process and success of your project. Ted F. Gerdes possesses nearly 30 years of legal experience and currently assists clients throughout the United States and around the world in a variety of entertainment-related matters, including clearance and vetting, copyright, titles, trademark and E&O insurance. Ted's goal is to help his clients prevent costly litigation by performing thorough clearance on all projects and negotiating and drafting all of the necessary rights acquisitions and license agreements. Prior to founding his own firm, Ted served as outside counsel to producers, studios, advertising agencies, and authors, where he was involved in defending numerous important copyright and entertainment law cases involving films, television properties and music, including Buchwald v Paramount and Waits v Frito Lay. He now draws on that wealth of experience to prevent the same claims that he used to defend. Mr. Gerdes's commitment to providing the best possible representation to each client has earned him Martindale-Hubbell's prestigious "AV" rating, indicating that peers rank him at the highest level of professional excellence and ethical standards. Additionally, Los Angeles area law schools and industry organizations frequently invite Ted to speak about his areas of expertise. He has published numerous articles in major publications, including Los Angeles Lawyer, Billboard Magazine, New Technologies 101, and Music Connection. In addition, Mr. Gerdes has served as Chair, Board Member, and Special Editor of the Entertainment Law special editions of Los Angeles Lawyer magazine, many of which earned the Western Publishing Association's prestigious "Maggie" Award. A musician since age 10, Ted still finds time to play one of his several guitars and attend concerts. He has also loves his Nikon, a hold over from his days as a journalist, which he often carries with him, always looking for that perfect photograph. In recent years Ted has developed a reputation for his unique holiday cards featuring his original photographs, sent to friends and clients. For exercise he took up cycling. In 2008 he did the 100 mile Solvang Century, raising money for the Leukemia and Lymphoma Society. -"The Trademark Behind The Curtain: The use of trademarks as metatags"